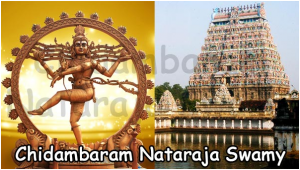 The Nataraj Temple Chidambaram is also referred as Thillai Nataraj Temple. This temple is dedicated to Lord Shiva. It is in the southern state of Tamilnadu in India. The temple has a deep mythical connection. When the name of the town was Thillai, a Shiva shrine used to be there in the temple. Chidambaram is the name of the city where the temple is now situated literally meaning “clothed in thought” or “atmosphere of wisdom”. The architecture of the temple represents the link between arts and spirituality. The temple was constructed during the 10th Century when Chidambaram used to be the capital of the Chola dynasty. The Cholas considered Lord Shiva as Nataraj as their family deity. The Nataraj temple has undergone damage, renovation and expansion throughout the 2nd millennium. Although Shiva is the main deity of the temple, it also represents major themes from Vaishnavism, Shaktism and others with all due reverence. 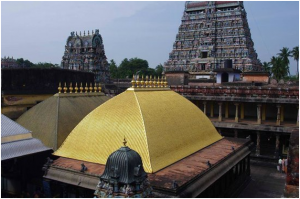 The Chidambaram temple complex proudly boasts of being one of the oldest temple complexes in Southern India. The most unique characteristic of the Nataraj Temple is the bejewelled image of Nataraj. The temple has five main Halls or Sabhas namely the Kanaka Sabha, the Cit Sabha, Nritta Sabha, Deva Sabha and Raja Sabha. Nataraj happens to be one of the most momentous forms of Lord Shiva. Chidambaram is also amongst one of the most celebrated shrines of Lord Shiva in the country. The place also bears a significant importance from both cultural point of view and historical perspective as well.Now R & D, Western scientists have proved that at Lord Nataraja ‘s big toe is the Centre Point of World ‘s Magnetic Equator. Ancient Tamil Scholar Thirumoolar has proved this Five thousand years ago! His treatise Thirumandiram is a wonderful Scientific guide for the whole world. Pataleeswarar Temple, Cuddalore is a Hindu shrine dedicated to Lord Shiva in the town of Cuddalore. It was constructed during the Pallava and Medieval Chola periods. The Saivite saint Appar is believed to have adopted Saivism at this temple. There is a belief/myth that by worshiping this God single time is equal to 16 times worshiping the Shiva in Kasi, 8 times in Thiruvannamalai and 3 times in Chidambaram. 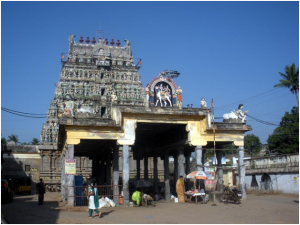 Thirupathiripuliyur in Cuddalore is one of the ancient temples in Tamil Nadu. It is named after the Pathiri Tree and the Puliyur, a tiger-legged saint who obtained absolution in the area. Devaara Thiruthalam is a show on Peppers TV that features Shiva temples that have been mentioned in the Thirumurai. Pichavaram near Chidambaram in Cuddalore District, Tamil Nadu, in South India. The nearest railway station is Chidambaram from where it is accessible by road. The Pichavaram Mangrove Forest near Chidambaram is the world’s second largest mangrove forest. 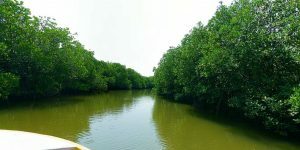 Pichavaram mangrove forest is located between two prominent estuaries, the Vellar estuary in the north and Coleroon estuary in the south. The Vellar-Coleroon estuarine complex forms the Killai backwater and Pichavaram mangroves. The backwaters are interconnected by the Vellar and Coleroon river systems and offer abundant scope for water sports such as rowing, kayaking and canoeing. The Pichavaram forest not only offers waterscape and backwater cruises, but also another very rare sight] – the mangrove forest trees are permanently rooted in a few feet of water. There are more than 400 water routes available for boating. Neyveli : Neyveli is a township in Cuddalore district in the Indian state of Tamil Nadu. It is located 62 kilometres (39 mi) inland from Bay of Bengal, west of Pondicherry and 197 kilometres (122 mi) south of Chennai. 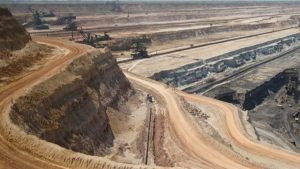 The main activity of NLC India is Mining(Coal & Lignite) and Power Generation (Thermal and Renewable Energy).NLC India at present has four open cast lignite mines namely Mine I, Mine II, Mine IA and Barsingsar Mine. The lignite mined out is used as fuel to the linked Pit head power stations. Also raw lignite is being sold to small scale industries to use it as fuel in their production activities. 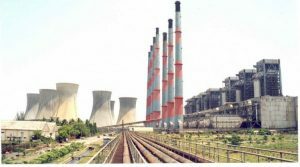 NLC India has five pithead Thermal Power Stations with an aggregate capacity of 3240 MW. 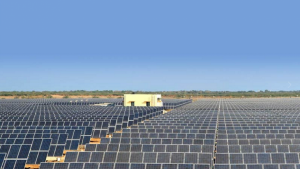 Further, NLC India has installed 34 Wind Turbine Generators of capacity 1.50 MW each and also commissioned 140 MW Solar Photo Voltaic Power plant in Neyveli, resulting in an overall power generating capacity of 3431 MW(excl. JVs). It is A NAVRATNA company under the Ministry of Coal . since 1956 – 60th year of its glorious existence Present Mining Capacity : 30.6 MTPA ( Lignite ) Present Power Generation Capacity (including JVs) : 3240MW (Lignite), 1000MW (Coal), 140MW (Solar), 51MW (Wind), Total : 4431MW Planned Capacity Addition 16580 MW. Moved from an only lignite mining and power generation Company to become an energy company. 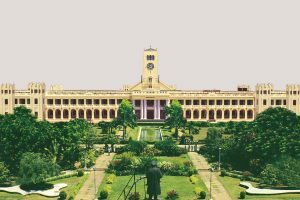 Annamalai University is a state university located in Annamalai Nagar,Chidambaram, Tamil Nadu, India. The university is spread across 950 acres (3.8 km2) in Chidambaram and offers courses of higher education in science, engineering, Management (MBA), humanities, agriculture and arts. The university was founded in 1929 by the entrepreneur Annamalai Chettiyar in the aftermath of the Montagu-Chelmsford Reforms. It was the first private university in India. It was taken over by the Tamil Nadu government in 2013. The university also provides more than 500 courses through distance education. The Directorate of Distance Education (DDE) of Annamalai University offers education to those people who are unable to attend the campus but who desire to study. It is credited with the largest enrollment in India and is well equipped with computers and other infrastructure, separate teaching faculty and administration, study centers, and computer training centers to serve its students. It was the first institution in India to offer postgraduate degree programmes in Applied Psychology, Physics, Chemistry, Zoology, Botany, Bioinformatics and Law, Business Administration and Management (MBA) through distance education. The Directorate of Distance Education also offers programmes in Fashion Design, Textile Design, Interior Design, Hotel Management and Catering Technology, Retail Management, Twinning, Health Science, a Commonwealth Youth Programme, Yoga, Music, Fire and Safety, Pharmaceutical and Taxation.